Expanding flights to Latin America is a part of the airline’s restructuring plan and the newest announcement is a positive sign that airline is on track — at least in this regard. American Airlines announced that it will launch service to markets in Latin America, delivering on the airline’s business plan and network strategy designed to offer customers more choices to new destinations. Next year, American will begin the service between Dallas/Fort Worth and Peru’s Lima. American Airlines has the most flights between North and South America of any US airline. Photo by Rene Schwietzke. The Latin American entity posted a 7.2% unit revenue increase for the first nine months of 2012, including yield improvements in Mexico and Central and South America. 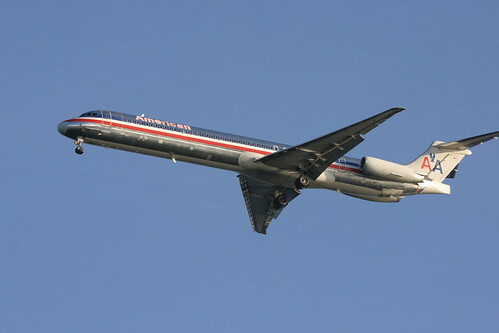 The growing strength of American’s enhanced network, together with coordinated selling efforts with joint business partners British Airways and Iberia over the Atlantic, helped drive a 6.5 increase in trans-Atlantic unit revenue improvement for the first nine months of 2012 versus the prior year.